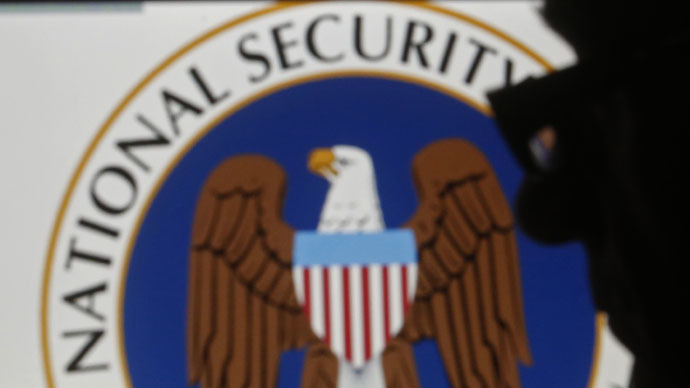 Lawmakers in the United States House of Representatives are poised to pass the USA Freedom Act on Wednesday, leaving it up to the Senate to decide the future of the National Security Agency’s bulk phone records collection program. If the House approves the bill as planned, the fate of the telephone metadata operation exposed in 2013 by Edward Snowden, a former NSA contractor, will fall into the hands of the Senate, and from there lawmakers will have to decide if they also want the spy agency to stop collecting call records in bulk. As a congressional showdown on the issue seems imminent, here’s what you need to know about the USA Freedom Act. If signed into law, the USA Freedom Act will officially end the NSA’s ability to conduct dragnet surveillance of call records. In June 2013, top-secret documents disclosed to the media by Snowden showed that the NSA compels America’s telecoms to hand over details of millions of phone calls made inside the US every day in accordance with the government’s previously secret interpretation of Sec. 215 of the post-9/11, anti-terrorism Patriot Act. The operation remains among the most controversial revealed by the whistleblower since he began supplying reporters with files nearly two years ago. The powers provided through that provision will sunset on June 1 unless Congress explicitly favors reauthorization. According to Republican Jim Sensenbrenner, a primary author of the Patriot Act, lawmakers never meant to let the NSA collect call records through Sec. 215, which authorizes the government to gather all "tangible things” relevant to national security investigations, including business records created by telecoms. Sensenbrenner in turn penned the language to the USA Freedom Act, and his office says passage of that bill would end the bulk collection of American’s call records, reform the Foreign Intelligence Surveillance Court that green-lights spying and increase transparency thereof. Passage would curb the NSA’s metadata collection program, but would also renew the Patriot Act through 2019 with the new changes. While the metadata collection program is perhaps the NSA operation that has received the most attention since Snowden’s leaks started to surface, critics of the USA Freedom Act say the bill would begin to rein in the call records program but not much more. Since June 2013, Snowden’s leaks have shown that the US intelligence community eavesdrops on the phone calls of world leaders, hacks foreign companies and, as revealed last week, targets acclaimed journalists for surveillance, just for starters. Opponents have called for reform across the board, but the presumptive passage of USA Freedom Act by the House this week would be the biggest legislative victory so far regards changing America’s surveillance apparatus. “Would you recommend against such surgery, if that was the only one the surgeon was even willing to contemplate?” Froomkin questioned. Onlookers to the surveillance debate predict the USA Freedom Act will pass the House on Wednesday without complications, but don’t expect the bill to advance through the Senate with the same ease. Senator John Cornyn (R-Texas), the second-ranking GOP lawmaker in the chamber, said that he supports the idea of reauthorizing Sec. 215 without any changes before it expires next month, and when the House is finally done with the USA Freedom Act this week, Senator McConnell, a supporter of the call records program, might elect not to let the bill be discussed on the Senate floor. "The nation is better off with an extension of the Patriot Act than not," McConnell on Sunday in Boston. McConnell is among the biggest critics of USA Freedom in Congress, and last month he suggested keeping the NSA’s current programs in tact until 2020. Senators Ron Wyden (D-Oregon) and Rand Paul (R-Kentucky) both promised to filibuster McConnell if he follows through with that threat, and reauthorizing Sec. 215 would be all but meaningless given that the Second Circuit said the provision doesn’t actually provide for call records collection. The Senate is expected to vote on the matter on Wednesday afternoon.